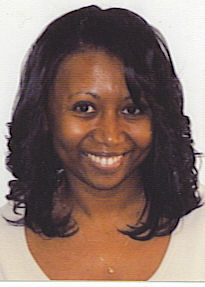 Esteem Team: The Mentoring program is what initially attracted me to membership with the JLB. As a member and later as a Coordinator we were able to measure the impact our activities had with our mentees. One of my proudest moments was attending my Esteem Team Mentee's HS graduation in 2006 and later on her college graduation. Revlon Run Walk: I coordinated walkers from JLB for this walk for a few years, but in 2004 my godmother (a cancer survivor) and mother (who would be diagnosed six years later and is now a survivor) walked with the JLB and got to see me in “volunteer” mode. More recently, as President-Elect, I attended my first Annual Conference. It was a full circle moment as I was reminded of the many reasons why I first joined the League. To experience the collective energy of members from around the world as we honored various programs from all of the leagues was inspiring. The weight of the responsibility I am taking on as Leadership with the 3rd oldest League in the country was lessened as I met women from around the country doing the same for their communities. The opportunities available through the power of membership with AJLI included the privilege to listen to and personally meet Carlotta Walls LaNier (one of the Little Rock Nine). I am looking forward to providing support and guidance to the next generation of members like previous Presidents (& many now Sustainers) gave to me as we strive to continue to serve Brooklyn with effective action and trained volunteers.